In 2002, at 20 years sober, as part of my decision to start working the program on a daily basis, I started carrying around a spiritual backpack with me. I find that reading with a highlighter and pen makes all the difference in the world. I first make sure to highlight whatever I read that is meaningful, being careful not to select the entire page. As a request I’ve added links to Amazon (I’m not an affiliate). I apologize if the links are outdated or don’t work – feel free to let me know if there’s a better link. 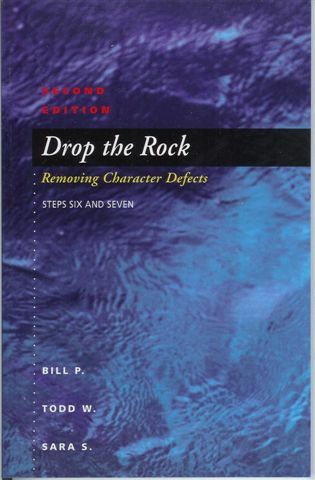 Published in 1952 and written by Bill W. to clarify how to work each step. I read this every day I do my daily rituals. I carry the pocket version of this one too in my Spiritual Backpack. This is my journal, the third (or maybe even the first) most important part of my daily rituals. I lost it when my backpack was stolen and the thief took it even though he returned my backpack with my laptop and some other books. Strange. Maybe reading it inspired him to return my backpack. I was lucky enough to find the exact one still available at Barnes & Nobel! I write in it daily, first entering the date, then where exactly I am sitting when writing (Starbucks 15th Street, or On The Beach in Kaanapali, etc.). Then I write down what’s been going in my life and head since my last entry, including actual events, great stuff, upsetting things, etc. If I’m writing things I consider problematic (also called opportunities), I try to write down what it’s affecting, my part, what I could do differently, and any amends or other positive action I can make to be free of resentment or frustration. If I’m not sure what to do I pause after writing and ask for direction from my HP. Often I’ll write “Please show me what to do to make this better, I need your help and guidance”. At the end of every entry comes what is probably the most important part of journaling, my list of gratitudes. They change each time, but almost always include things like AA, sobriety, God, fellowship, sponsorship, family, health, love, nature, etc. Sometimes the list is just a few things, other days it fills a half of a page or more. If I’m short on time, I write the date, where I am, and my gratitudes. This is my daily 10th step work. As it says in the Big Book “A business which takes no regular inventory usually goes broke.” And so it is with a person I believe, but instead of losing our business, we lose our serenity, happiness, relationships, peace, and all other things we value. Each year I work the steps one day at a time, one month at a time for the year. I work step 1 in January, 2 in February, etc. I prefer to use a Step Book. So, I look around at the bookstores and online until I find one I haven’t worked before. At first I thought this one was geared too much toward newcomers, brand new in AA. But I found that remembering my beginnings was good for me. It has a reading, a suggested writing assignment, and a quote for each day. I simply substitute things like “having someone sober help me clean out my drug and alcohol stash” to “having someone sober help me clean out the stash of icky thoughts in my head”. Then I write down those thoughts, along with a commitment to get with a sober friend in the next 24 hours, and discuss my icky stash. Works for me. If I get a day or two behind, I just catch up. This is a daily reader. This was the third book in my backpack, but alas I’ve given it away long ago. Not a problem though, because my great friend Russell emails me the Daily Reflection, which I read and often forward to others from my iPhone. This was the next entry into my backpack, and boy was it a great addition! Since I had worked the steps on several other occasions, and always wondered why 6 & 7 had only two paragraphs in the Big Book. This book has the perfect line it in “…maybe it isn’t the Fourth or Fifth Step that needs repeating, but that it is time to take a real look at the Sixth and Seventh.” If you’re an old-timer and are starting to dislike what you’re hearing in meetings, unhappy in your marriage, have stress about your job or money, find yourself generally unhappy, then I highly recommend this book. A daily reader. This was the next book in my backpack but has since been given away. I’m about ready to by a new one. This is one of three daily readers for my in Al-Anon, a mandatory program for me to attend as a sober alcoholic in a relationship with a women (my great wife – who gets greater as I work my program!). The other two are listed below. 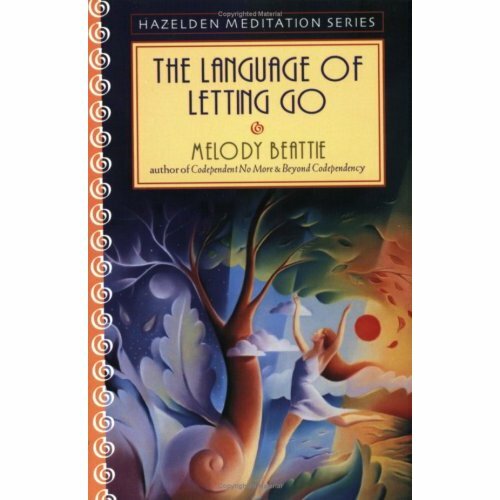 Full of wonderful daily quotes like this one “Gradually I put aside my resentments by accepting my powerlessness”. Love this book. It was stolen with my backpack, and after the thief returned it, this book was missing. I really need to replace it. A daily reader. 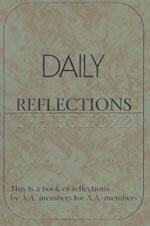 Here’s the other Al-Anon daily reader I love. 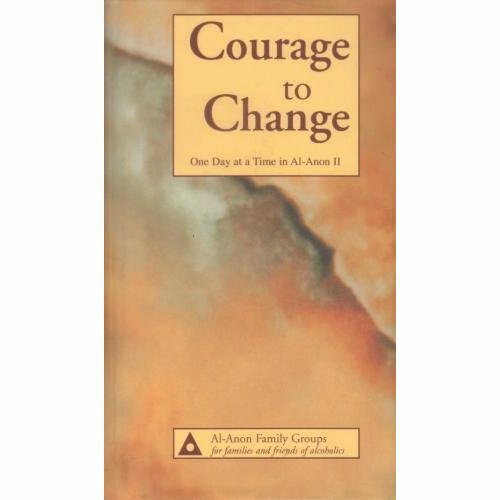 Don’t you love the titles of these books, I have the courage to change, I have hope for today, I’m ready to drop the rock. They go perfectly with the next one, which is fantastic for anyone who ever gets angry. A daily reader. 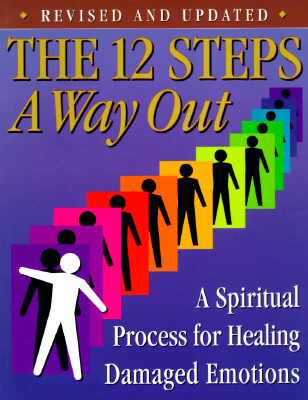 This book has really changed my life. Dr. Paul wrote it at the end of his life, after being married to Max forever. He was a double winner (AA & Al-Anon), and his wife was Al-Anon. He died before it was published. 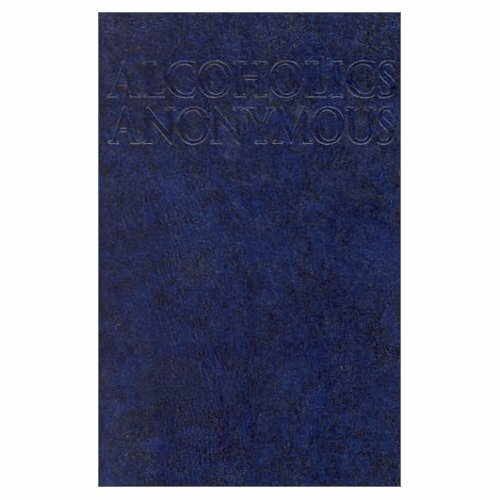 He wrote the story in the Big Book “Doctor,, Alcoholic, Addict”. It’s the story that is so often quoted for the paragraph on acceptance (page 449 or 417, depending on your edition). He’s written several others I plan to read. A daily reader. I was recently given this book and it’s so fantastic for my relationship. It really is all about being grateful for her and showing my gratitude for having her in my life and all that she does. I love this book. A daily reader. This book is fantastic, though a few of the days are a bit religious for me. My favorite is May 28th, and where I really started learning to love myself and stop criticizing all that I do. It really made me realize that I had locked up that sweet child when I decided to start drinking and using, and never let him out after I got sober. Many of my daily “Spiritual Spams” I text to my people come from here. A daily reader. This book was given to me and sat on my bookshelf for ten years. The title rubbed me the wrong way, and there are some really religious readings that are tough on me. But when I finally picked it up I was shocked to find some amazing readings that were not religious at all. My favorite is the Bike Ride. A daily reader. 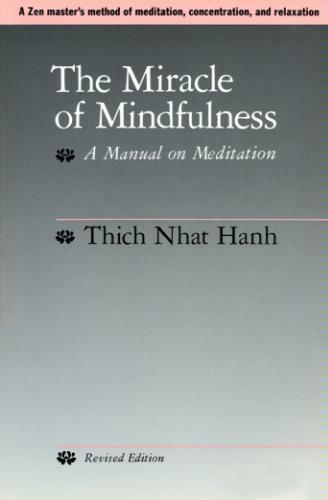 Given to me recently by my friend Joel for my 28th AA birthday, this book is helping me to live in the moment and relish each moment. I particularly like the part in the beginning about washing the dishes to wash the dishes. A daily reader. 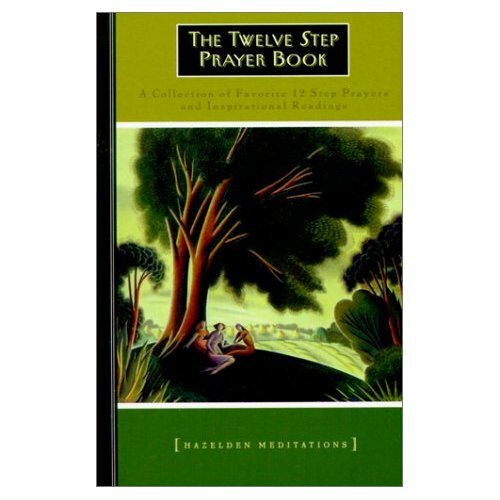 This book was suggested to me and I found that it does a great job at bringing love into working the 12 steps on a daily basis, and has a reading for each day of the year. A daily reader. 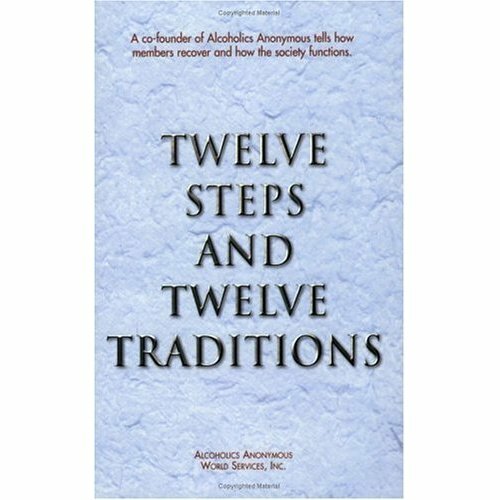 There’s some books missing from this list, like the 12 Step Sponsorship Book and Al-Anon’s Paths to Recovery, as well as step books I’ve worked before like A Gentle Path Through The 12 Steps, and Blueprint for Progress (both sizes). Most are on my book shelves or have been donated to others in the program, and some come back into my spiritual backpack periodically. It’s now Friday, July 26, 2013. Just wanted to show you the step work book I’m using this year to go through the steps with some of my guys. I’ve used it before and still love it! It’s March 29, 2016. Here’s an update image of some of the current books I’m reading. Actually I’m not that into Twenty Four Hours a Day – it’s a bit religious for me – and I’m planning on replacing it with You Can’t Make Me Angry. Due for a re-reading of that one! AA, Alanon and other books for my Golden Hour. Happy Holidays and Mele Kalikimaka from Hawaii. My friend recommended your site to me and he too carries a spiritual backpack. I notice you have 14 books plus a journal listed. ..how many of them do you recommend reading daily? Hang in there and congrats! I got mine at Walmart. It’s a mini-backpack with a zippered front pocket where I keep my highlighters and pens. I generally pull out my journal first, and do my journaling. Then I’ll start reading in no particular order, looking for a great passage that I can text out to my sponsees and friends. I send out a spiritual text in the mornings, a small excerpt of one of the bucks, followed by my experience, strength and hope. I always keep my backpack with me, in my car or wherever I go. Just in case I need a little bit of Help. Here’s a link for the pink one, This is the only one I could find. Mine is black. Oh my!!! 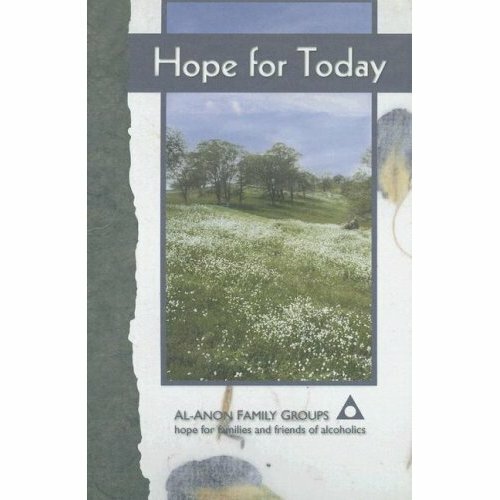 I’m new to recovery, have attended al anon, but with out true conviction. Not sure why as my desire is to get started. Stumbled into your sure and am so grateful!! I needed a direction, how to begin, how to practice, how to journal, everything!!! I thank you sooo much. You’re welcome Annie. Glad to be sharing the road to recovery with you! Wow, thanks Anita. So cool that me and my tribe can reach around the world, all the way to England. If you ever get to Maui, Hawaii look me up! 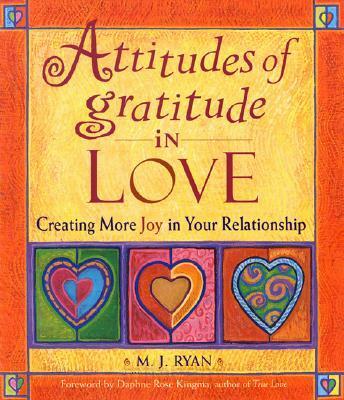 When I read an excerpt from Attitudes of Gratitude at the wedding months ago, but forgot the name of the book, I knew I had to get it. Your talk with me helped too. Where can I find the 2nd part of your list, the stuff you were going to do later? I’m not sure what you’re referring to. Which page of the site are you reading? At the end of spiritual backpack you say you’ll share the rest of your literature? Thanks, love your site! 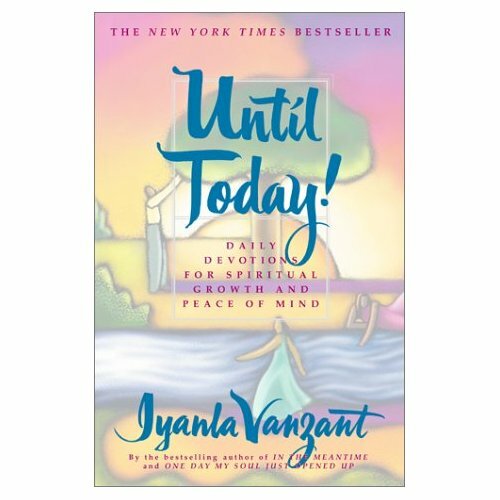 At the end of spiritual backpack, you rite that you’ll list the rest of your literature later..thank you, love your site! Ok. Got you. Yes my literature changes often so I’ll try and update it this weekend. Thanks! Spiritual back pack, after you said you were tired. Love your site! Sorry for the repeats, it wouldn’t post! I hope you continue your work on your site! I love reading everything!! I am coming up on 24 years of sobriety. Your spiritual backpack is fantastic – I am going to assemble something similar to place next to my desk. 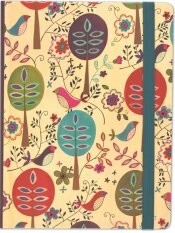 Journaling is critical for me… I was told by my sponsor that if I don’t journal today, I will feel it tomorrow. I also end my journal entry with gratitude. You mentioned you send out a daily email. Do you still do that? I would love to receive it if possible. I would also love to get Daily Reflections in the mail. Do you still get that? I thank you much for the sharing you do. Thanks for reaching back out to me. I’m so stoked you enjoy it and love your encouragement for me to continue. I had 20 years before I finally started doing the Daily Deal, working an everyday, consistent program of recovery and what a difference. I actually use an app called Group Text to send out individual texts to about 150 people each day. One set of texts is for people wanting to share gratitude with me, I send them mine and they share theirs each day. The other is the daily recovery text you see here. The app doesn’t let me email but what I like about it is that it send them out individually so I don’t end up in a group chat which I don’t like. Plus I can add names and take them off easily as requested. If you want to be added to either of those group texts just email me at jamesquine@aol.com ( don’t put your phone in here as its public). Oh and journaling recently saved my life. I journal to take an emotional, spiritual and physical temperature of myself. While journaling I wrote that my stomachs ache seemed possibly as though something else may be wrong though it didn’t hurt badly. I also wrote I might consider going to the doc. Then I wrote I’ll go to the doc to be safe. And hour later the doc said to go to ER for a check up. 3 hours later they I was in surgery for acute appendicitis. So the journal is a life saver for me in more ways than emotionally! ILML! Wow!! What a delightful page. I just stumbled across your site. 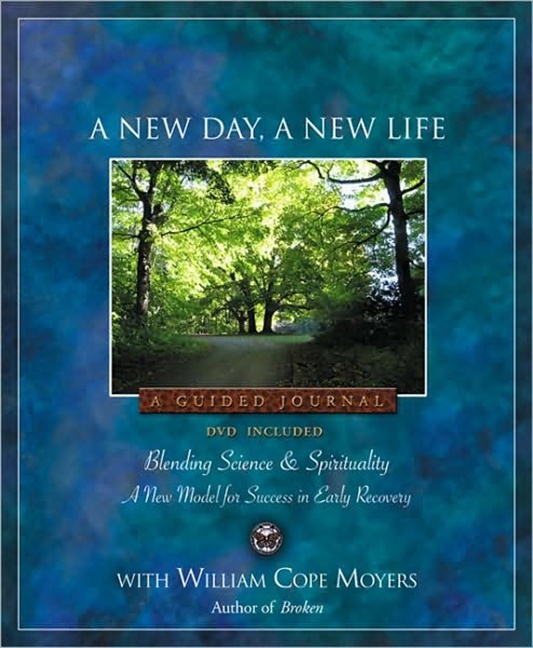 What a wonderful resource for anyone interested in recovery, be it a newcomer or someone with decades of sobriety. Keep passing it on! Thanks Bill! You reminded me I need to update a few things and do some clean-up on the blog. Have an awesome evening! 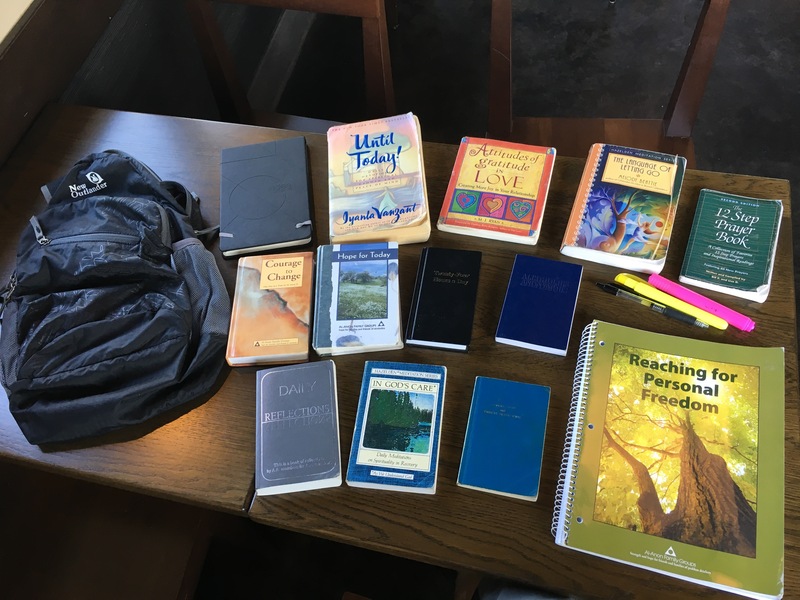 Are you stilldoing a a daily spiritual backpack? Over the last month or so, someone has replied to this thread & I got a couple of messages from here. At times in the past I would get all caught up in sync but now I just recognize them & smile. But lately this backpack email keeps snaggin & not in more emails either. So have you added any new books to it? 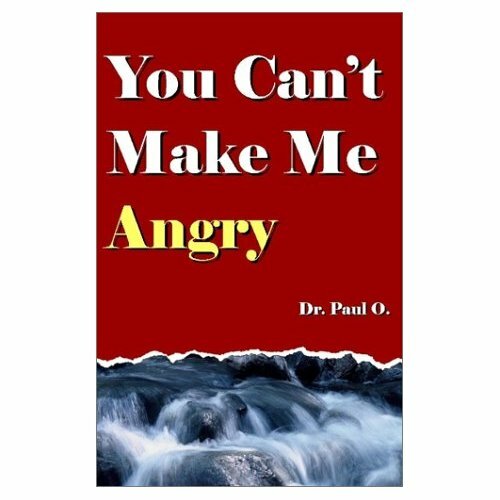 And how did the one book “Can’t make me Angry” help you grow in practices of “acceptance”? I have added some more books to my spiritual backpack. I keep Reaching for Personal Freedom in it these days, as I’m doing this fairly new AlAnon workbook and loving it. I tend to move in and out of books in my spiritual backpack, always keeping a few tried and true ones like 12&12, Big Book, Courage to Change and Hope for Today. I always have my journal in there too. I apologize for not being as consistent with my blog posts as before – life is in session. No excuse. I’ll try to do more, as I get so much out of it. Thanks for the reminder!! !